Have you ever wanted to make a short film or Star Wars fanfilm that involved lightsabers? Of course you could use Adobe After Effects or FXHome EffectsLab, but why should you pay $199-$799 for software like that? Try LSMaker, a freely available program that may not be ridiculously easy to use, but works well. You can see a sample of the end product by playing the YouTube video I made where I added a lightsaber blade over my RuneScape player’s sword. I added a few sound effects and there it is. As you can see I’m not overly skilled at lightsaber-drawing yet, but I’m getting there. 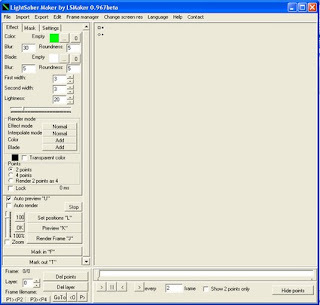 LSMaker can draw 2-point lightsabers where you just click at the start and end of the blade to place the effect, and the more advanced 4-point version which is used for blurring effects while the blade is moving fast. You can pick virtually any color for the center and outer glow of the blade, place flashes of light on the impact of the blades, and even make blasters by making “mini lightsabers” and animating them across the screen quickly. You definitely need to read the manual before starting, but all in all it’s a nice program (and you sure can’t beat the price). When you’re filming lightsaber sequences, you should use wooden dowels (or equivalent) with stripes made of duct tape so as to make it easier to draw the blades correctly. You can animate the blade extending by getting something to use as a lightsaber hilt (how about a flashlight?) and drawing a blade, slowly making it longer each frame. Then just switch over to the wooden dowels for the actual fighting. George Lucas did something similar. Give it a try, if your not in the mood to film anything, try doing what I did. Add a lightsaber over a sword from an MMORPG. Have you ever noticed that as you use your computer it seems to slowly build-up unique characteristics, and almost a personality? This happens with computers and other devices too. After a couple months of using a new computer, it will have characteristics that you put into it. 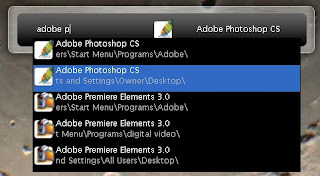 For example you will have all your Windows or OS X settings, installed programs, files, and lots of other things. That alone is pretty unique, but there are odd unexplained things that happen too. You can write them off as bugs and glitches if you want, but they are unique to each computer. My PC, for example, randomly freezes and reboots with nothing to provoke it to do so. For awhile if I opened the “My Videos” folder, Windows Explorer would crash and reload itself. I couldn’t access any of the files in there for months, until the problem corrected itself one day. The computers at the local library are really bad about this. There’s this big table with 6 workstations on it. Those computers particularly would act totally differently even though they were the same make and model, running Microsoft Active Desktop. Some would run at different speeds, some wouldn’t run shockwave applets, one would have odd problems with Java applets, and another would mysteriously close your active window at random moments. They all had a totally different collection of spyware and toolbars too. This has been corrected by the network admin recently, but it’s starting to happen again. It’s not just PCs either. The pinsetters and scoring systems at the local bowling alley are ancient and do odd things too. On one lane the system would always start in French mode and would always not score any shots until one of the bowling center’s staff went back and messed with a circuit board in it. Just today the pinsetter would reset the pins and ready for my second ball, even though I hadn’t bowled by first yet. It only did it when the bowler before me fouled on his second ball, though. I’m not attributing these odd happenings to anything other than bugs and general use, but isn’t it interesting that these weird things happen after the machine has been in use for a while? Those two lists I posted recently 10 Things You Don’t Want to Hear Bill Gates Say and 21 Things NOT to Say to Bill Gates are being blogged all over the place. Ten Things was blogged at this site and 21 Things Not to Say was posted on ZuneComplaints.net. Thanks for the links guys! Launchy — Who Needs a Start Menu? Tired of searching through your Start menu for the app you need? Give Launchy a try! Launchy crawls your start menu, desktop, and any other folders you specify every 20 minutes or so (you can adjust the time period). When you press a customizable keystroke (I chose Win-Space, but the default is Alt-Space) a little skinable box appears. You just start typing the name of the app you want and launchy does the rest. Once you’ve got the icon for the program you want in the main part of the box (not the dropdown) you hit enter and the app launches. It’s really cool and useful. Try it out, you won’t go back. Who needs a Start menu? Audacity is the ultimate free audio editor. It costs you nothing, just head over to http://audacity.sourceforge.net/ and download it. It works on Windows, Mac, Linux, etc as well. The program is perfect for podcasting. It records, edits, applies effects and more. 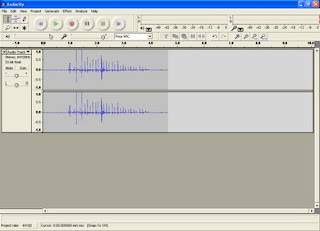 Recording and editing a podcast in audacity is amazingly simple. Plug in your mic, and click record. When your down hit stop and begin editing. You can learn how to work the easy to use editing tools just by reading a couple pages out of the manual. Then export to MP3 (requires installing LAME) and your done. Amazing for a free audio editor, isn’t it? Everyone seems to agree that the “standardized” icon for RSS feeds is the type available at www.feed-icons.com. But what if you want something slightly different? Here are some ideas to get you started (you can use them on your site or blog if you wish). The standard icon is getting boring, make your own, use these, etc. What are you waiting for? Make feed icons more interesting! Fire up Photoshop and make your own! NOTE: This is intended to be a humorous post targeted at people who are tired of Windows (and Mac owners). Do not take it seriously. Windows: Boring. Microsoft sounds like a mattress company. Mac: Cool, but ‘Apple Macintosh’ doesn’t really describe what the product is. Windows: A cool flag made of multicolored squares. Unfortunately they recently added a dorky blue circle behind it. Mac: A really cool metallic blue picture of an Apple. Windows: Windows is known for crashing a lot, having a monopoly on the computer world, and being best used in the corporate environment. Mac: The Mac OS is older than Windows, is used by most graphic artists and other “creative professionals”, and is generally considered to be more stable. Windows: That really stupid “Wow” commercial. Mac: Those funny I’m a Mac commercials. The Winner is the Apple Macintosh by a landslide. Google Apps For Your Domain, that cool service that lets you have 100 free email accounts @yourdomain.com, has just updated some things and created a new premium version. The most noticeable of their changes is the new administration panel. It’s got a very different look. They made it look more professional and less like it was thrown together quickly. The shocking bit is the premium plan costs $50/user/year. Ouch. Then you’ll notice that the premium users get 10GB of storage instead of 2GB. That’s more than standard GMail! Using a tool such as GMailDrive you could store a nice amount of stuff there. The worst part is the APIs section. They’ve provided users with the ability to put login and sign-up forms on their website! This feature has been sought after by nearly every GAFYD user on the planet. WHY did they have to make it a premium feature? I doubt most GAFYD users will be able to afford $50 per user per year. Let’s see, suppose you have 80 users. That’s $50 x 80. So you’d have to pay $4000 for the premium service. Then don’t forget that you’ll likely get more users than that eventually, especially if you put their sign-up form on your website. Oh well, if you need more features at a lower price than Google will provide, give RoundCube a try.